The sweet tartness of raspberry goes well with the earthy taste of green tea. Combine Monin Raspberry Fruit Mix Syrup, lemon, and water in the blender. Blend with ice. In a separate serving glass, add in 100ml of pre brewed tea and half a cup of ice. 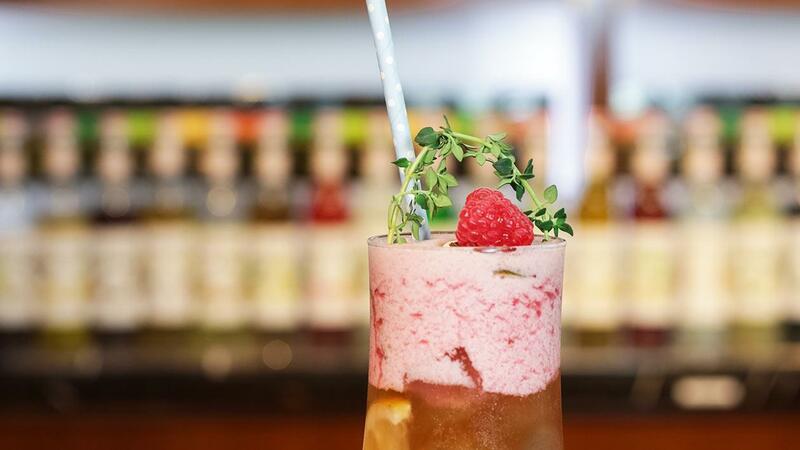 Add in the ice-blended mixture and garnish with Mint leaf and Raspberry.